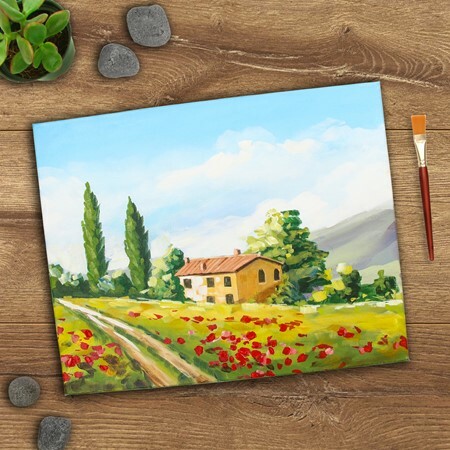 Join his workshop to enjoy wonderful practical learning exposure as you design Dimensional Tuscan Landscape Painting. 1. The basics, trick and many tips of using acrylic paints. 2. How to go about painting a landscape with a loose impressionistic style. 3. How to create 3-dimensional textured effects with paints. 1. A Stunning finished painting made with dimensional acrylic paints.